The call came on Wednesday, says Gail Klingensmith, partner of Pittsburgh's favorite pancake house Pamela's P&G. 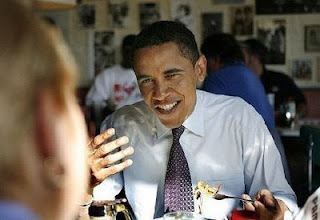 Thanks to Obama's personal aid Reggie Love who recalled how much Obama enjoyed his meal during a campaign stop in Pittsburgh last year, Pamela Cohen and Gail are heading to D.C. The two have been invited to cook Obama's favorite pancakes for 80 war veterans joining Obama at the White House Memorial Day breakfast. Gail and Pam wanted to bring their staff along but that was nixed by White House security. White House executive chef Cristeta (Cris) Comerford told them not to worry. They will have the full support of Obama's kitchen team. On the menu: Pamela's P&G very thin, crispy-edged pancakes, plain and with strawberries. Read the original story here.